The 1982 musical comedy Annie was nominated for two Academy Awards including Best Musical Score. That’s no surprise to anyone who’s seen it and couldn’t get the tune and lyrics to the themesong “Tomorrow” out of their head for several days. Based on the storyline and characters from the famous newspaper comic series “Little Orphan Annie,” this version boasted a stellar cast. Albert Finney played millionaire businessman Daddy Warbucks with Carol Burnett as the tyrannical (but hilarious) orphanage manager Miss Hannigan, Tim curry as her ex-con brother, Rooster, and Bernadette Peters as his floozy girlfriend. 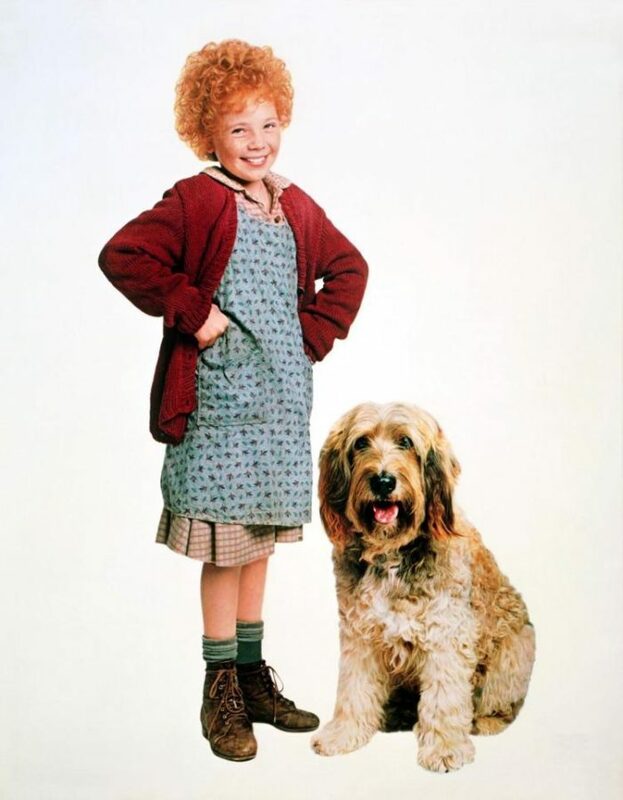 Ten-year-old Aileen Quinn made her national debut as Annie after being one of the orphans and an understudy in the Broadway cast. She was chosen over 8,000 little girls who tried out for the film role and proved the equal of every adult in singing and dancing. Even Sandy the dog didn’t manage to upstage her. The movie opens in the 1930s depression-era at the orphanage where Miss Hannigan treats the little girls as slaves who take care of themselves while she hits the bottle. They sing and dance “It’s a Hard-luck Life” and you can easily see how it would be. When Annie is chosen to spend a short time at the wealthy Warbucks’ home, her loving personality and charm quickly enchant the staff and the supposedly all-business Warbucks. She even gets to meet President Roosevelt when he visits Warbucks. When Warbucks tries to do something special for Annie, the one thing she wants is to find her parents. She believes they may be alive but gave her up because they were unable to take care of her—as many parents did in the Depression. (In reality, they had died in a fire but Miss Hannigan never told her.) While Warbucks and his faithful (and in-love-with-him) assistant, Grace, advertise to try to find her parents who will also be given a large cash reward, Rooster Hannigan and his girlfriend plot to impersonate her parents and collect the money. 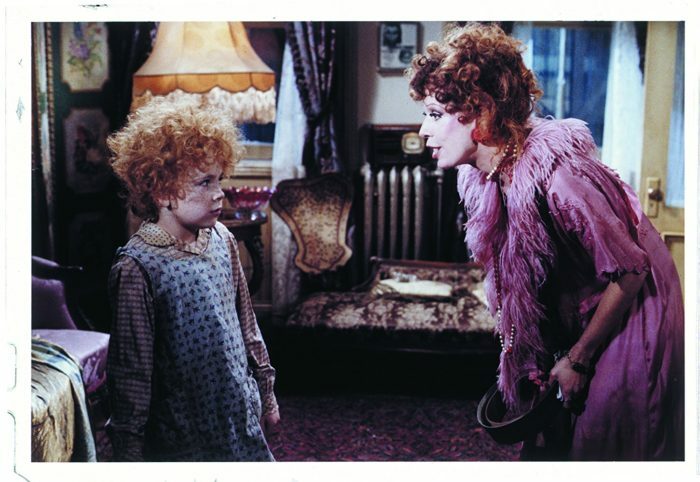 Miss Hannigan aids the deception by providing a way to prove to Warbucks they are the parents. The couple plan to kill Annie once they are away from the Warbucks’ estate—something even Miss Hannigan finds she can’t go along with. Once the other orphans make it to Warbucks to tell him that he’s been deceived, he uses his considerable resources to find and save the child he’s come to love and wants to adopt. To quote another song from the film, he found “I Don’t Need Anything But You.” Although the storyline is predictable, the film is a great musical reminder that when we’re stuck with a day that’s grey and lonely, we just need to stick out our chin and grin and remind ourselves that: the sun will come up tomorrow. Sometimes all we need to do is hang on ’til tomorrow. This little girl may have been an orphan or she may have been stolen from parents in Israel who still mourned her loss. She had been made a slave to the wife of the commander of a Syrian army. But even two verses tell us several things about her and her owner Naaman and his wife. She apparently had chosen not to hate her captors and not to be constantly depressed about her situation. Maybe she just chose to hang on ‘til tomorrow, or maybe they also were kind to her. Regardless, she cared about them enough to want her owner to be healed of leprosy so she did the only thing she could do—she told him where he could be healed. She obviously believed in the power of God and told him that the prophet in Samaria (Elisha) could heal him. 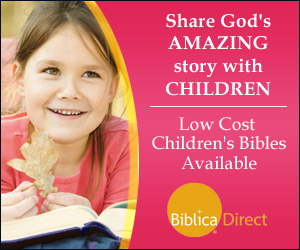 Amazingly, Naaman listened to the girl and set off for Israel to try to be healed. When he made contact with Elisha’s servant (he didn’t even get to see the prophet), he was told to wash in the river Jordan seven times and he would be healed. He went away angry, not wanting to do such a mundane thing in a muddy little stream. He had expected to be healed with pomp and circumstance by the prophet himself, and he’d brought gifts to pay the prophet richly. He didn’t have a clue how faith works. But, once again, it was his servants who helped him by convincing him to do what the prophet said. After all, they told him, it was not a great thing that was being asked of him. All he had to do was humble himself and obey. When he did, he came up out of the water the seventh time with his skin restored like a child’s. Overjoyed, Naaman swore that he would worship the God of Israel the rest of his life. Probably others followed his example when they saw him return home healed and heard the story. And I imagine that little slave girl became more like a daughter than a servant to him. This little girl’s story reminds us that our age makes no difference in our ability to serve the Lord. And it doesn’t matter in what hard-luck place we find ourselves. When we are willing to love and obey Him, God has a way of stepping in and making our tomorrows something we could never have imagined.